Looking for an MP3 grabber? Remember that catchy song from a viral ad someone sent you the other day? 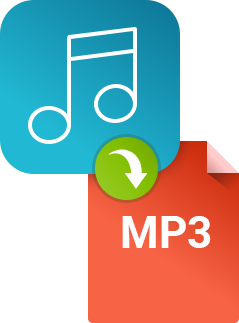 You can easily save it as an MP3 – just get yourself a decent music grabber. 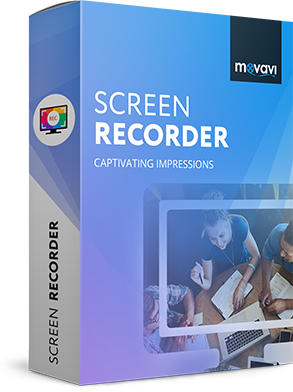 Movavi Screen Recorder is exactly what you need: it’s one of the best tools you can find to extract audio from videos, save webinars and online streams, and rip any kind of audio content from websites or applications. 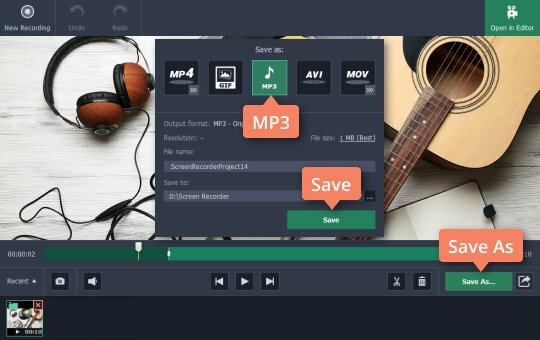 Download the software and learn how to grab audio in a few simple steps. Launch the installer and follow the instructions on your computer screen. After the installation is complete, the program will open automatically. First, position the capture area frame over the area in which the video element will play. 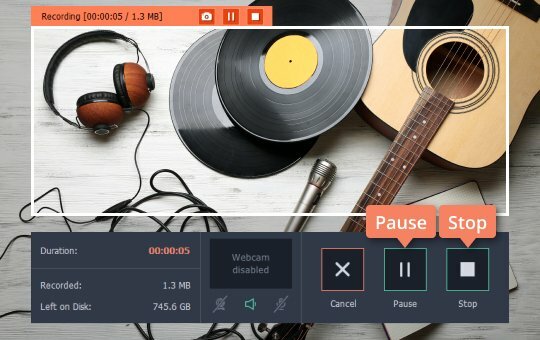 You can do this manually or by clicking anywhere on the screen and selecting the desired screen dimensions from the list in the Capture Area section. 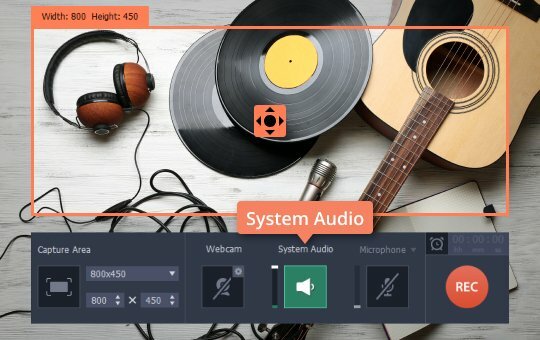 It’s best to make sure that the System Audio icon is active (marked green) and Microphone is not – otherwise the sound from your microphone will interfere with the grabbing process. Hit the orange REC button, and the program will launch the process. You can pause or stop the grab by clicking the appropriate buttons on the control panel. Alternatively, use the F9 and F10 hotkeys if you have Windows; ⌥ ⌘ 1 and ⌥ ⌘ 2 if you use a Mac. Click the Save As button on the right. In the dialog box, select MP3 as the output format. Set the destination folder and click Save.